Media industry the world over is undergoing tremendous transformation. Unlike the Western world, where newspapers are getting closed down or dying, the printed word in India is still going steady. New newspapers continue to be launched and older ones are gaining circulation. The television industry is booming and FM radio – though not yet permitted to carry news content – is reaching vast audiences . Yet, the power of the digital and new media can’t be underestimated in this media landscape. The transformation of Indian media has begun. Convergence is the buzzword. Print, electronic and digital are getting into a new engine of delivery. Indian media is at an inflection point where it is getting ready for delivery of converged news content to a variety of devices – computers, tablets, mobile phones and handhelds. This is the biggest challenge for Indian media and media persons. The last big transformation took place in the late 1980s – when the newspaper industry shifted to computer and satellite technology from the electro-mechanical teleprinters and telegraph cables. But that transformation was largely technological and did not affect news gathering and news gatherers as such. The transformation which we are witnessing in 2010s goes beyond technology and embraces content and journalists in a major way. In this sense, it is disruptive. 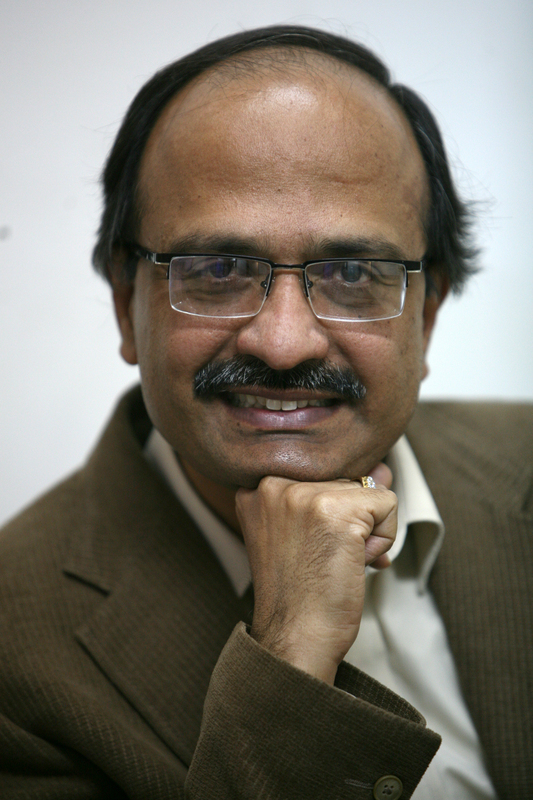 Having been a journalist since 1982, I have had the fortune of getting a ringside view of the changes in Indian media terrain in the past three decades in various roles – a cub reporter, political and business correspondent, science editor, media commentator, journalism educator and an author. It has been a fascinating journey which took me to the top of the world, literally, in 2008 to the Arctic. The experience continues. I believe that whatever be the medium, delivery mechanism or technology, the role of a story teller, a content writer (formerly known as journalist!) will always be around. 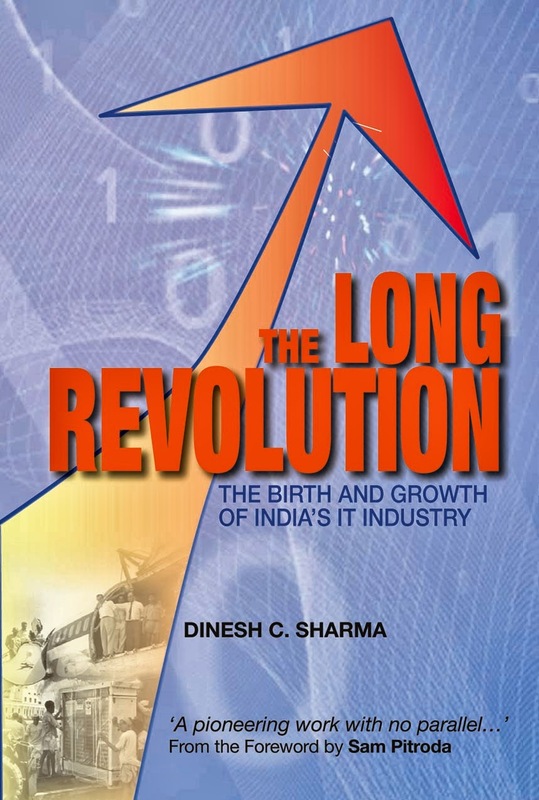 Singapore, June 26, 2016 : Indian columnist and author Dinesh C Sharma has been named winner of the Computer History Museum Book Prize for his book, The Outsourcer: The Story of India’s IT Revolution. The prize given by the Special Interest Group for Computers, Information, and Society (SIGCIS) of the Society for the History of Technology (SHOT) was presented to Sharma at the annual meeting of the society in Singapore on Sunday (June 26, 2016). The award, which includes prize money of $1000, comes from an endowment established by the estate of Paul Baran, a computer technology pioneer known for his contributions to packet-switched networking. The Computer History Museum Prize is awarded to the author of an outstanding book in the history of computing broadly conceived, published during the prior three years. Sharma’s book, published by MIT Press in 2015, is a panoramic history of development of software and information technology in India spanning almost half a century. The book is “well-grounded in sources and interviews” and “full of fascinating stories on the beginnings of computing in India”, the award committee noted. “Sharma does an excellent job contextualizing this story within broader Indian history and the history of computing in the West,” the citation said. The prize committee for 2016 consisted of Joseph A. November (University of South Carolina), Joy Rankin (American Academy of Arts and Sciences) and Christophe Lécuyer (University of Paris).